48, of Wynona, restaurant manager, died Friday. Anthony Enos Eagle obituary: Always on the phone, checking on everyone. Graveside services for Anthony Enos Redeagle, of Wynona, were held Tuesday, Aug. 30, 2011 at Nelagoney Cemetery in Nelagoney. The Rev. Jimmy Hatfield officiated. Casket bearers were Brandon Cole, Craig Wood, Jacob Redeagle, Gage Redeagle, Braden Redeagle, and Chris Redeagle. Honorary casket bearers were Creighton Redeagle, Courtney Redeagle, Allen Capps, Dustin Miller, Chris Wood, and Steve Ford. Anthony was born July 23, 1963 in Pawhuska to Enos and Billie Beatrice. (Fortney) Redeagle. 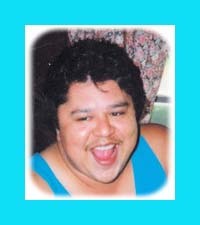 He passed away August 26, 2011 in Wynona at the age of 48. Most of all, Anthony loved spending time with his family and friends. He also enjoyed watching sports with his dad, and on Monday nights they would watch wrestling together. Anthony loved listening to music and singing along. When Anthony was well, he enjoyed golf, softball, and he bowled as well. He loved to cook, and watch the cooking channel. Anthony always looked forward to Thanksgiving and Christmas dinners with his family. He was always on the phone, checking on everyone. He is survived by his father, Enos Redeagle of the home; brother, Doane (Eric) Redeagle and wife, Julie of Tulsa; sisters, Kimberly Redeagle of Tulsa, and Lisa Ford and husband, Steve of Owasso; nieces Tailor Wood, and Torri Redeagle; nephews, Brandon Cole, Craig Wood, Jacob Redeagle, Gage Redeagle and Braden Redeagle; great-nieces and nephews, Zared Cole, Zailey Cole, Zaid Cole, Teagann Wood, Gavin Wood, and Carson Redeagle; several aunts, uncles, cousins, and many other relatives and friends. He was preceded in death by his mother, Billie Beatrice Redeagle; grandparents, James and Irene Fortney, and Doane and Annie Redeagle; nephew, Bradley Redeagle; nieces, Angel Redeagle and Erica Redeagle.Arrangements and services were entrusted to Johnson Funeral Home, Sperry.